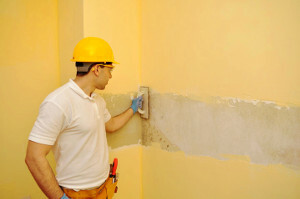 Handyman Decorating Painting SE3 Kidbrooke | RDA Cleaning & Maintenance Ltd.
With more than 10 years of experience in the field RDA Cleaning & Maintenance Ltd. has become one oft the leaders on the market. The fact that we are always at your disposal - 365 working days per year with no extra charging for weekends and holidays - we are kind, flexible and understanding for your individual needs. We have insurance for each service and we cover the damages in case of any loss, incident or omission. In addition to these, you can be tranquil for re-scheduling the plumbing, carpentry, painting & more services Kidbrooke SE3. It is easy and free, when you do it within a reasonable time. The service is not hourly based, but we never start a job before reaching an agreement with the customer. All we aim is to make you happy and pleased - like all the 15 thousand new customers we receive per year. The handyman Kidbrooke SE3 can provide carpentry services as well - if it’s a simple job like assembling a drawer or a table he will do it. However, more serious carpentry jobs which require specialised skills like roofing or construction work is out of the question. Dear customers, we expect your handyman orders! Call us on this phone number 020 3404 1646 at any convenient for you time! Book the best handyman services Kidbrooke SE3 in town today!